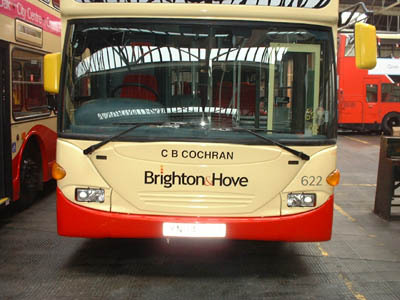 Connections with Brighton and Hove : One of the greatest showmen of the last century, C B Cochran was born in a house in Prestonville Road, Brighton, in 1872. He appeared in a show early in life with an unlikely duo Sir Herbert Carden and Aubrey Beardsley. 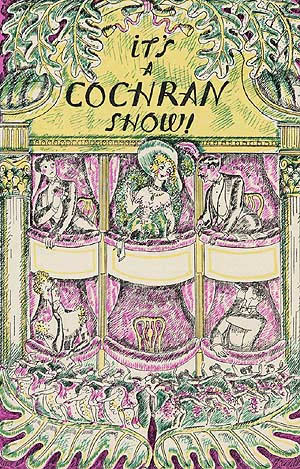 Cochran gained his appetite for show business after visiting a fair at Lindfield near Haywards Heath. 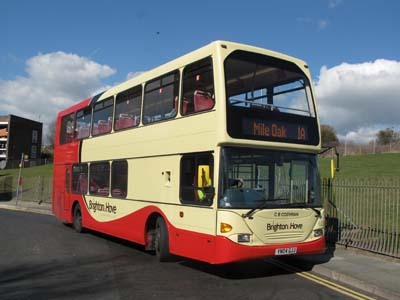 He decided he would like to be an actor after seeing a pantomime at the Theatre Royal in Brighton. Cochran went to the USA as a poor young man and scraped a living there as a salesman and part-time actor. He returned to England and started his career as an impresario by promoting a boxing match at Olympia. Then he put on many more including the Carpentier v Beckett fight at Holborn which netted him £30,000. Cochran introduced rodeo to Britain and roller-skating to France. But he had failures as well and went bust in 1924. Recovering, he had a long association with Noel Coward, putting on Private Lives and Cavalcade among other plays. He had a troop of lovelies known as C B Cochran’s Young Ladies. His discoveries included Anna Neagle, Jessie Matthews and Florence Desmond. During his career, he worked with celebrities ranging from Charlie Chaplin and George Bernard Shaw to Will Rogers and Richard Tauber. Cochran continued after the war with the musical Bless the Bride, his 126th production, which achieved his longest run. He died in 1951. 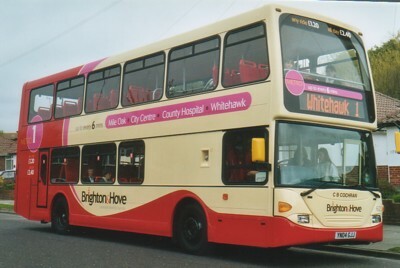 622 Scania Omnidekka carried name since delivery in March 2004, on METRO Line 1. METRO 1 branding removed February 2012. 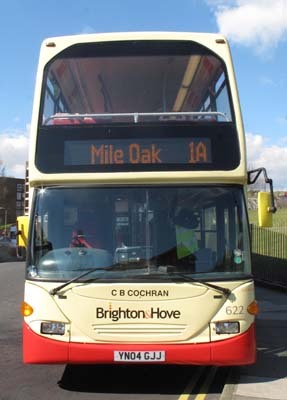 Bus sold in July 2016.